Here at Imperial Event Venue, we are fortunate enough to have helped celebrate weddings across a number of different cultures. Having the chance to learn the different customs and traditions of various cultures over the years has opened our eyes and brought us joy. One of the events that we get to celebrate the most are Chinese weddings. 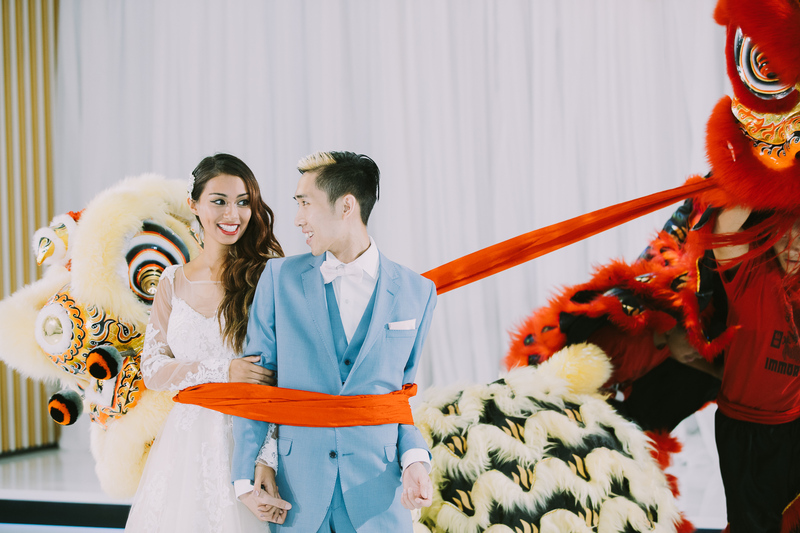 As such, we’ve had a chance to learn about some of the amazing Chinese wedding traditions over the years. Of course, there are many variants of the culture depending on the region—so these traditions are from the experiences that we have had ourselves. Take a look! Just as in many other cultures, tea is an extremely important part of everyday Chinese life. Tea isn’t simply something that is consumed once a day, but more so enjoyed throughout the day consistently. Green tea is the most common type of tea. It’s less caffeinated than your standard black tea, and it comes with a myriad of health benefits, such as reducing inflammation. We’ve seen the tea ceremony take place before or after the wedding festivities. 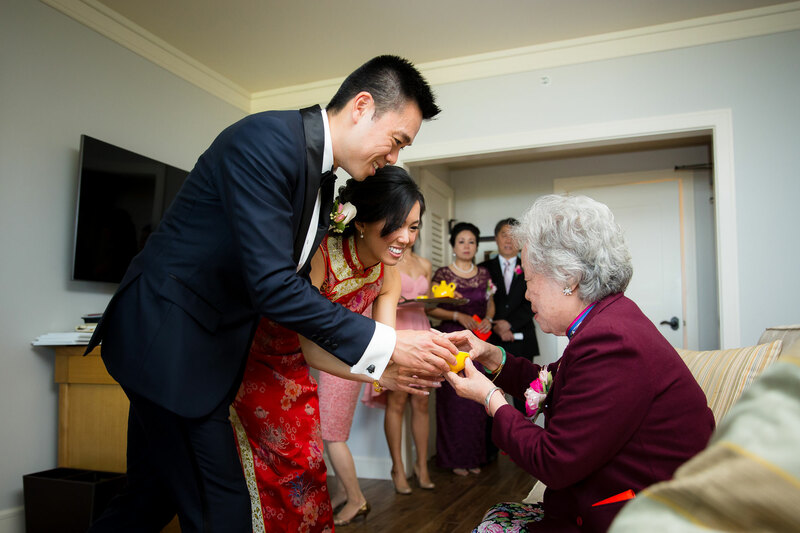 Traditionally, the bride and groom will first serve the tea to the bride’s parents while expressing their gratitude. The newlyweds will then serve tea to the bride’s other relatives. After the tea has been served to the bride’s side, the same will be done for the groom’s side of the family. Traditionally, the tea is served with either two lotus seeds or two dates. Depending on the couple and their budget, one of the more popular Chinese wedding traditions is to serve a ten-course meal. This is totally dependent on the couple, but there are some main foods that we see consistently at the weddings. Perhaps the most common food that our catering service is asked to make for a Chinese wedding is a whole fish. The Chinese word for “fish” is yu, which is very similar to the word for plentiful or abundance. Thus, traditionally a whole fish is served at the wedding. Another popular food that is commonly requested by our clients for a Chinese wedding is duck. 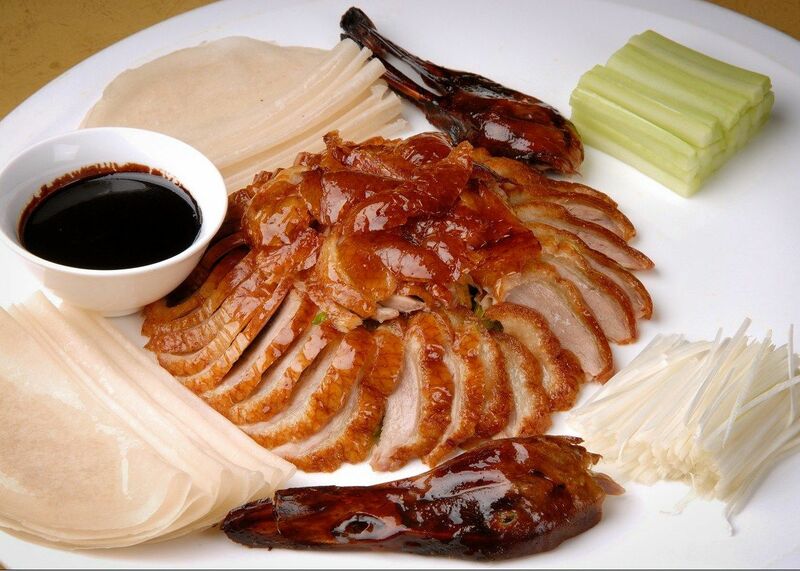 Peking duck is one of the common recipes that our chefs are asked to make. In traditional Chinese culture, duck represents fidelity, and is therefore typically served at weddings. We’ve seen so many weddings here at Imperial Event Venue in the last two decades, and we’ve seen wedding dresses of all types. Each and every one has a unique beauty of their own. Traditionally, a Chinese bride will wear a custom wedding dress called a qípáo. This is a red dress often made with gold embroidery in a floral design. A bride may also choose to wear a westernized white wedding dress. Oftentimes, it is not uncommon for the bride to have multiple dress changes during the wedding day. She may decide to change into a different dress for the reception. 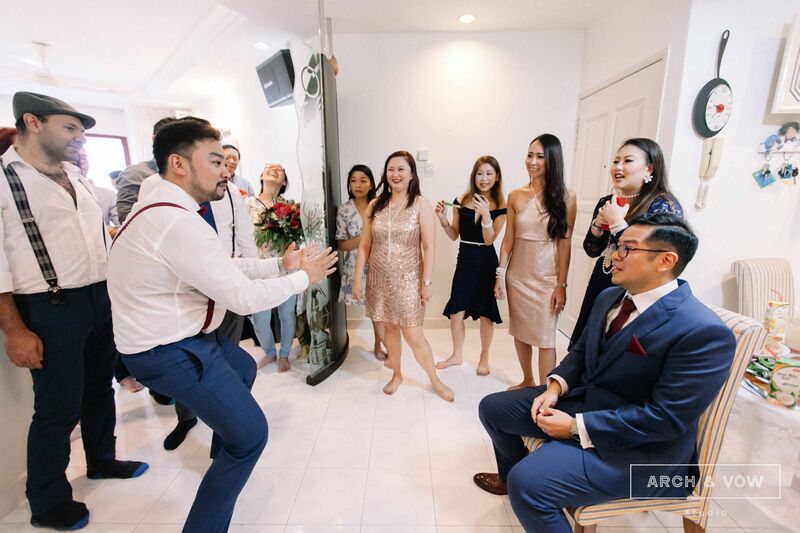 In some provinces, wedding games are played as a way for the groom to demonstrate his love for the bride. These are also known as “door games”. Oftentimes before the games start, the groom and groomsmen will try to enter the door at the bride’s home, but are locked out. In order to get in, the groom must pay a “fee”, which may typically be cash in a red envelope. Once the groom and groomsmen are inside, fun games are played to put the groom’s love on display. He may be asked to drink a weird concoction, eat unpleasant foods, or sing and dance to show his affection. While our Chinese clients mostly use the Gregorian calendar, there are some traditional activities in which they still may use the Chinese calendar. These specific dates guide people to select the right days for everything from a wedding date to moving into a new house. It’s thought to bring good luck if you do things such as these on an auspicious date. There are a number of other Chinese wedding traditions that we’ve seen at our wedding venue, although some of them are less common. It’s understandable that some of these traditions may change over the years or get lost, but many are still used in most every wedding that we see.